Our range of products include pneumatic sealing tools, manual sealing tools and can sealing machines. Sealing tools is meant to seal metal capseals on to curled wall of flange fitted on drum to make the drum leak proof and tamper proof. 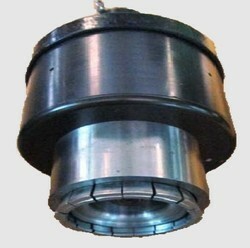 Flange & plugs gaskets make drum leakproof. In case bung is little loose the leak through flange thread is sealed by capseal sitting on curled wall of flange. The operator has to place the Pneumatic Sealing Tools on the cap and press the palm switch which will automatically seal the cap. Can be used with single hand. The Manual Sealing Tools operator has to place the tool on the cap-seal and bring the handle down in the horizontal position to seal the cap-seal. Moreover, client can get the provided products from us at very economical prices. Looking for Sealing Tools ?